Happy Friday, friends! 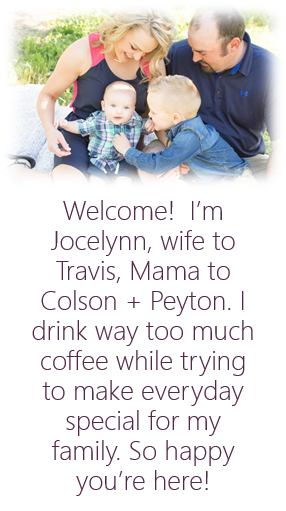 I'm sharing some of my Friday favorites this week with Andrea, Narci, and Erika. Make sure to check out their link-up for more fun Friday favorites! Anyone else love Dove chocolate??? It is a weakness of mine. They are my FAVORITE. I buy them and tell myself it's the perfect size to have one but....I never just have one! I can't wait for summer! I am ready for the sunshine but until we can be outside, I've been using these tanning towelettes. They are my favorite that I've found without paying a ton of money. The color doesn't come off on my clothes and the color is good. Yesterday, I shared our favorite popcorn recipe! When my husband walked out of the bathroom with this mustache last night, it was surly a favorite! I can't look at him seriously or without laughing. It's funny how much facial hair can change someone. Driving home one evening, Colson noticed how awesome the sky looked. It's been storming here lately, and the sky has been so pretty! I can't wait to sit out on the patio and watch summer storms, that's one of my favorite things! One of my favorite things to drink lately has been thieves tea. It's a tablespoon of local honey, two drops of thieves oil and a drop of lemon oil. Of course I drink it out of my new favorite coffee mug! I've been attending a bible study at church since the beginning of the year. This study is amazing. If you are looking for an amazing study, check this one out. Right now you can listen to the study on LifeWay until March 31st. Travis and I watched the movie, Greater a couple of weeks ago. It had a very powerful message. We cried through most of it. 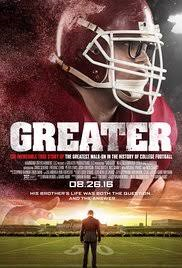 It is based on a true story of a football player that was told he would never play football for Arkansas and then got drafted into the NFL. If you're looking for a good movie this weekend, grab it from Redbox! Yesterday, we got to go and play with some friends! It was one of my favorite things we did this week! It's always nice to see friends and the boys played really well! I hope you all have a great weekend! We don't have anything planned and I'm actually looking forward to it! I have a to-do list a mile long for today so I plan on conquering that and then hanging out the rest of the weekend!